The word-wielding puzzle platformer is headed to Nintendo’s hybrid console. Independent game studio Brainseed Factory has teamed up with publisher Wales Interactive to bring the acclaimed puzzle platformer Typoman to the Nintendo Switch next month. Fans can pre-order Typoman now in the Nintendo Switch eShop at a discounted rate of 20% off. Wales Interactive has also released a new Typoman gameplay trailer to coincide with today's announcement, which you can watch in the video below. This letter-shifting 2D platformer brings a whole new meaning to ‘wordplay’ with its inventive use of letters, spelling, and word order. As a character made of letters, players can alter their environment using word ordering to solve unique word-based puzzles. The shadowy, surreal setting is reminiscent of games like Limbo, only with a heavy emphasis on wordplay and puns. Players will have to consider the spelling of words both forward and backward to manipulate their environment and make their way through the treacherous lexical landscape. Typoman originally released for the Wii U back in 2015. 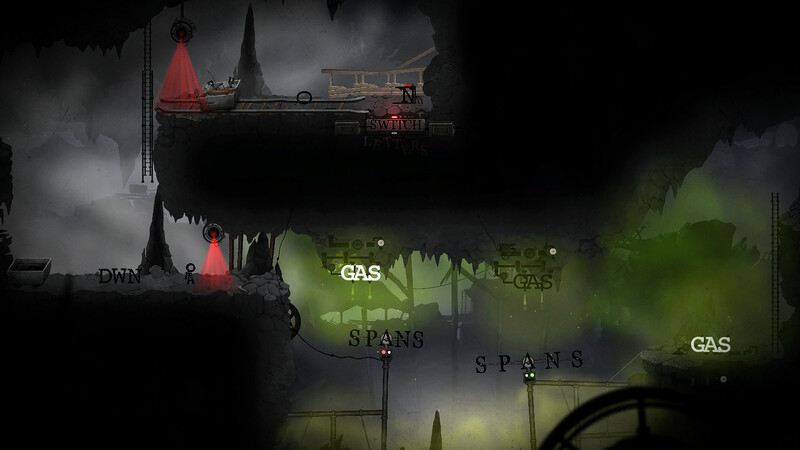 A revised version of Typoman launched on PC, PS4 and Xbox One in the years to follow. Typoman will release on the Nintendo Switch on February 22, 2018. The game’s base price will be $12.99, but fans who pre-order on the Nintendo eShop can get Typoman for $10.39, a 20% discount.